Sony has announced today that with forthcoming firmware updates, users will be able to use Amazon Alexa to control Sony soundbar and several wireless headphones – all with just your voice. Using Alexa is as simple as asking a question. Just ask to play music, hear the news, control smart home devices, access tens of thousands of skills, and more — Alexa will respond. Whether you are at home or on-the-go, Alexa is designed to make your life easier by letting you effortlessly control your world. 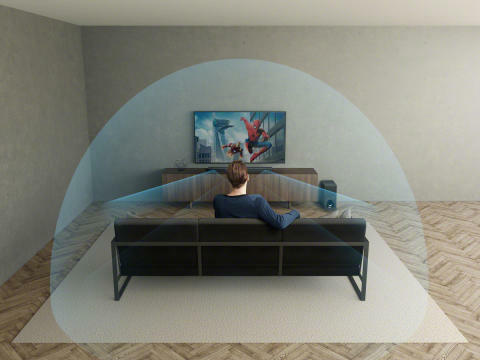 With a new firmware update, people with Alexa-enabled devices can play music and control playlists stream music and control audio on Sony’s ZF9 Dolby Atmos® soundbar. All you need to do is ask Alexa to play your favourite artist, adjust the volume, skip a track, and more. A separate update coming later this year will also enable you to pair your soundbar with other Amazon Echo products around the house, enabling multi-room playback of your music. Compatible with most smartphones, the Sony wireless headphones gives you the freedom to move without getting caught up in wires and will now be optimised for Amazon Alexa with a future update. Using Alexa on headphones from Sony is simple – just tap the button and ask a question, and Alexa will respond instantly. Service start dates and service conditions may vary by country.